"One of 3 best biography comics of 2018. A glorious, lovingly rendered, well-deserved celebration of one of the past century's most outstanding literary figures." "Beguiling. Here as in 2013's feather-light Girl in Dior, Goetzinger draws lovely things and lovely people with elegant facility. She utterly rejects the ironic distortions and self-conscious artificiality that characterize many contemporary comics. Goetzinger's sentimentality would probably win her subject's approval." to hit theaters September 21! "Sumptuous, sensual, and simply stunning, Goetzinger's latest historical opus showcases not only her talent as a set and costume designer but her ability use those skills to choreograph and craft thoroughly entertaining graphic narratives with unparalleled style and grace." "A sprightly tale told with lavish scenes and witty dialogue"
"Goetzinger is in fine form showcasing the fashions and interiors of eighteenth century Versailles and 1930s Paris, full of characters drawn in her inimitable, elegantly modeled style. 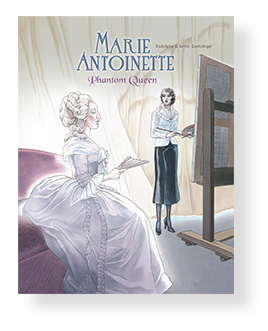 Marie Antoinette: Phantom Queen combines history, biography, and fantasy for a rich, quick read." 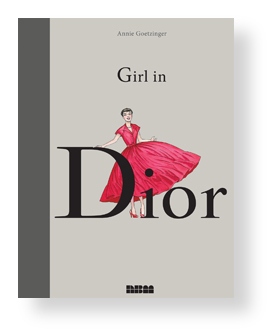 "Goetzinger's illustrations are clean and crisp, just like Dior's dresses, and her use of color, such as when a new collection is introduced and needs to be shown as both bold and understated, is masterly. And there's a lot of tension in the story. After the war, Dior and his clients may have been wealthy, but most French people were still living hand to mouth. In an early scene, Clara is staging a photo shoot at a farmers' market. When one of the models casually bites into an apple, the poor vendors go nuts because food is still being rationed." "A great tale of haute couture and whimsy." "The artwork is flat-out gorgeous. 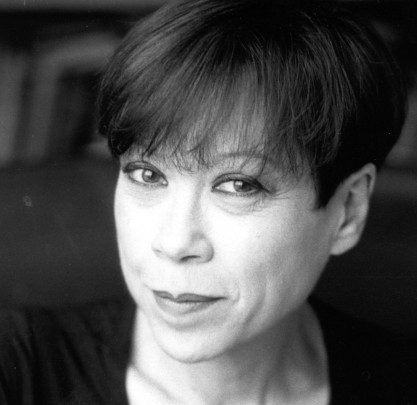 Writer/artist Annie Goetzinger is one of France’s best-known names, and it’s obvious why. Her art here is skilled and spare, focusing the eye exactly where needed with nary an extra line or cross-hatch. This elegant, airy look is abetted by a color palette almost entirely in pastels. While fashion isn’t to everyone’s taste, “Girl in Dior” can be." "Lush in its depictions and wittily captioned, the book acts as a dreamy portal into the height of couture." -W magazine, see their full account of Goetzinger’s exchange with Dior illustrator Bill Donovan. "A hymn to beauty, and - through Clara's personal story - to optimism and endurance." "Like the women within its pages, this is a book with both beauty and substance." "An obvious pick for those who appreciate graphic novels featuring female leads." "Goetzinger’s art and narrative cleverly weave a biography, delivered by a narrator whose naiveté rivals our own at the start of this book. Lovingly illustrated --- and even more lovingly constructed --- the narrative expresses the importance of Christian Dior and why he deserves to be well-remembered. Having only read this book, I can say I have a much greater respect for Dior, his brand, his art, and his unflinching genius." One of the Grandes Dames of comics in France, Goetzinger has had a distinguished and award winning career not only in comics but also in theater costume design and illustration, most notably for the newspaper Le Monde.